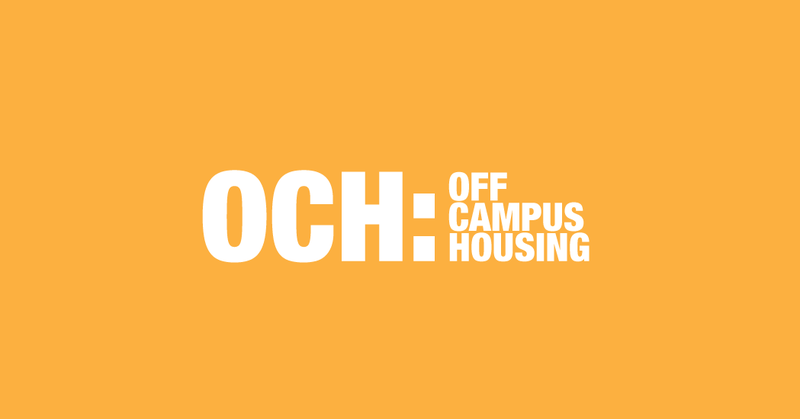 Off-Campus Housing, LLC, a property management company, needed a brand identity for the company and the key representatives. 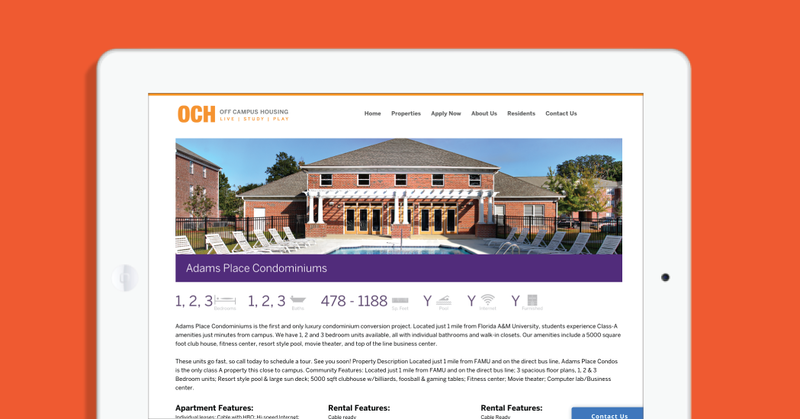 The company focuses on providing premium housing to minority, college students in Tallahassee, FL. 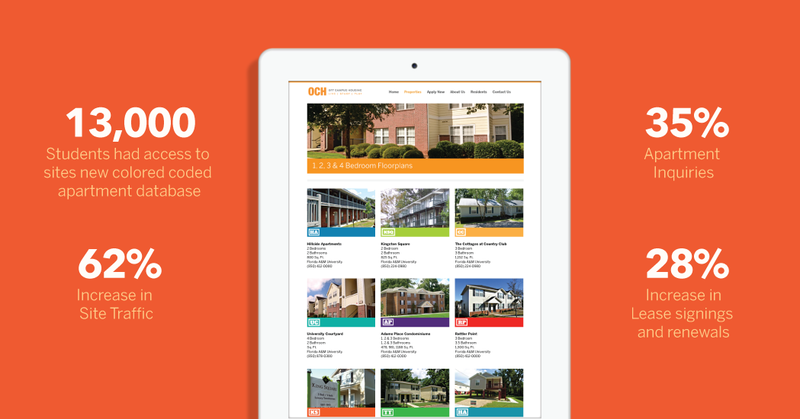 QJS Design Studio partnered with them to fashion an identity that would enhance its presence while increasing resident retention and acquiring new ones. We visualized a brand that would be tangible to the company’s public and work as another tool to further spread its awareness. 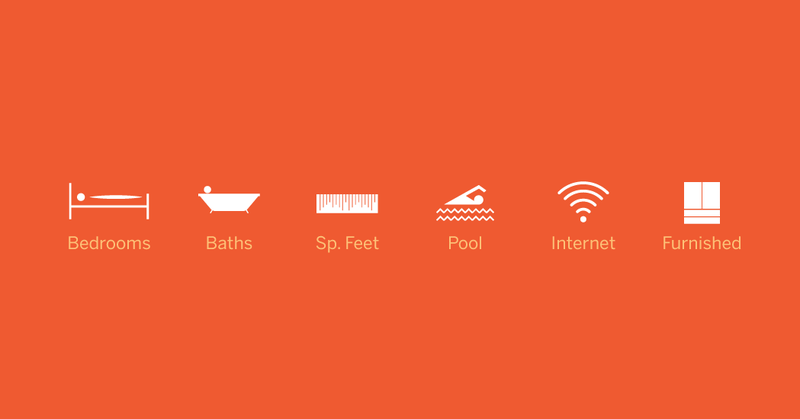 We analyzed the company’s residents and began forging a brand that assists the students. 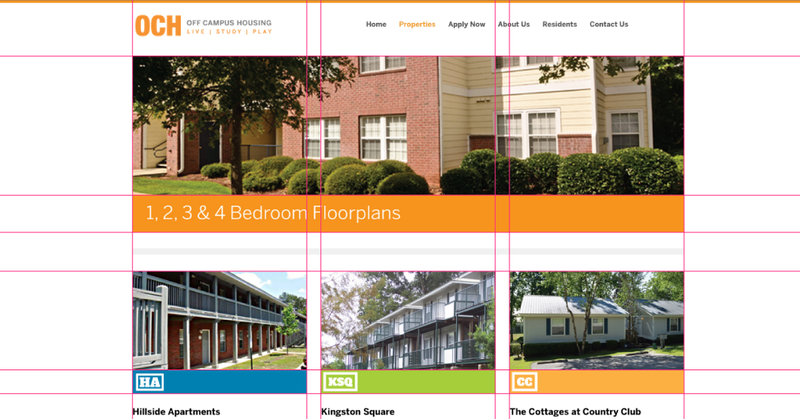 Creating from a blank canvas like Off-Campus Housing, LLC. required the full capabilities of the QJS staff working on the project. 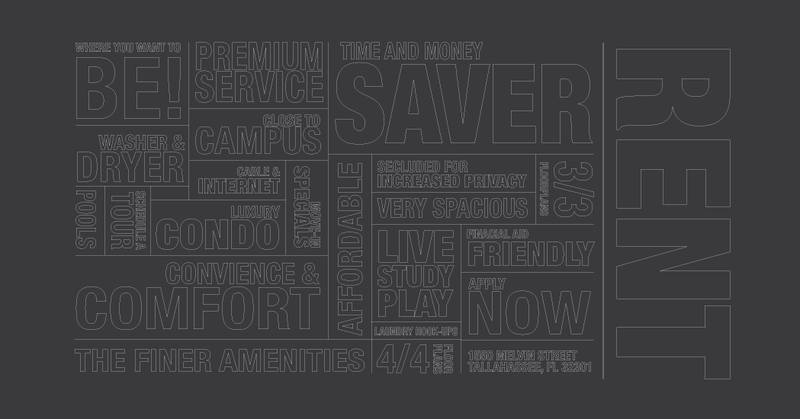 Market research, analysis, and a broad range of graphic design skills was used to create a clean, bold brand that stood out to college students at events. 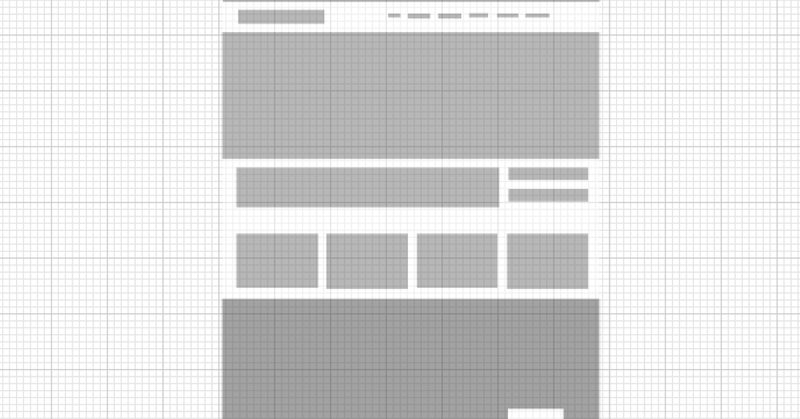 It was important that all content needed for the website was cultivated prior to the wireframes’ development. The website’s functionality on mobile devices was important, as well. This project placed a spotlight on each property by establishing each one a personality of its own. 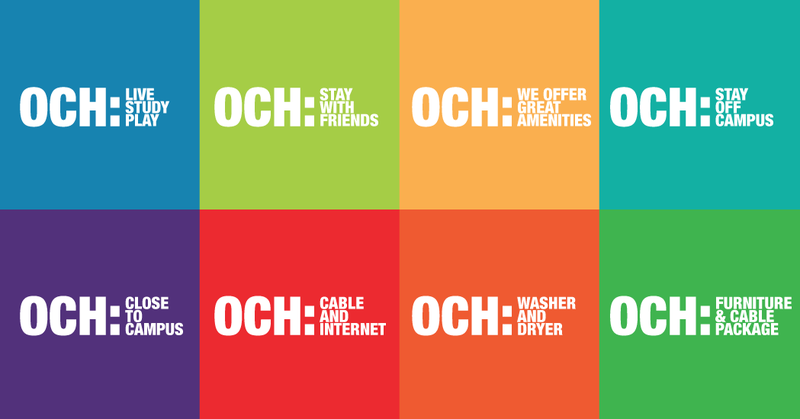 We made sure to make the website more user friendly by allowing prospective residents to schedule tours and speak directly to management to inquire about their concerns. We also implemented an interactive property map to show their relationship to Florida A&M University campus and each other. 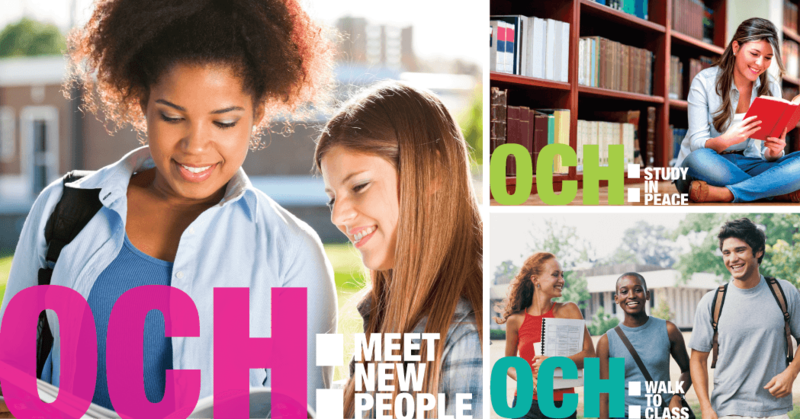 The staff at OCH was satisfied with their new website and other organizational materials the QJS team produced. 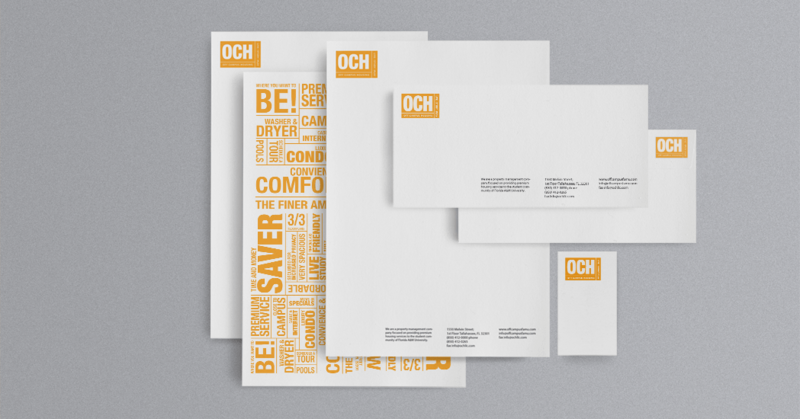 The vivid color palette transformed the organization’s visual brand into a very distinguished identity.